At age 12 I grabbed my parents’ Super 8 camera and began making films. 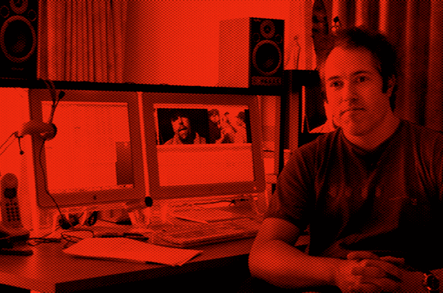 Soon realising this was to be my lifelong career, I saved up and bought my first film editor. Decades later my career has spanned Mini Series, Feature Films, Documentaries, Short Films, News and Current Affairs and Commercials. Whilst editing the multiple award winning documentary Labor in Power (1993) I switched on to Computer Non Linear editing. Soon after I co-founded Global Vision Media and before long became the accredited Avid trainer for the south eastern states of Australia. It was shortly after I started using Apple’s new Final Cut Pro that I could see the possibility of returning to freelance editing, and in 2002 I left Global Vision to pursue a solo career. Since then I’ve worked on many television shows including The Amazing Race Asia for AXN, Reel Race for Discovery Channel and of course Kenny and Kenny’s World . I still enjoy training editors and often give one on one training to those looking to enhance their skills with Final Cut Pro and learning the finer points of editing.